is needed. Most do not deliver to the fullest extent of their promises, if at all. else without making sure they are compensated for it. highly that they would be disappointed in any aspect of dealing with you. phone with me, providing advice and guidance. simply surpasses that of any traditional dynamic electromagnetic speaker. you can close your eyes and imagine yourself in the Jazz Club. his jaw dropped. He could not believe his ears, and much less so, the price. I have been using the Model 2.1 ESL for about a year now. The sound quality is excellent. It really makes you feel like you are at the center of the concert hall. Throughout the process of putting the speakers together, Russ was so supportive, and always managed to spare as much time as needed to provide tips and information on how to get the best results from his system. At this price, it is an unbeatable deal. I whole-heartedly recommend it. "Thanks you for building my custom M76 electrostatic ESL panels and electronics. After living with them for the last six months, this is my review of their sound quality. EFFORTLESS with Clarity, transparency, openness, lucid details, living sound stage, precise, and accurate imaging. This applies equally to all kinds of music from Bach organ, to a Haydn trio, a Mozart recitative all the way to the Stones' Voodoo Lounge. Every syllable in every word can be heard and precisely understood in English, Italian and other languages. The stats far surpass the "ribbons" in all of these qualities. Moreover, as for dynamics, there is more than enough for home performance and listening. (All of my referrals are to stereo reproduction, not to home theatre.) The "ribbons" offer more dynamics if one wants to fill a large hall; but too much else is sacrificed sonically. I derive a great deal of musical pleasure from this custom ESL system, thanks to your patience and technical help and very fine quality product. 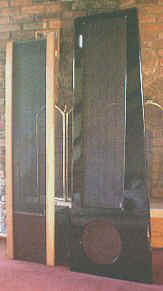 My original intent was to mate the custom ESL’s with a 76" planar magnetic ribbon driver using the ribbon as a tweeter. This did not work out because the ribbon actually starts to roll off about 8 KHz. I then began experimenting with the ESL’s as you had configured them, with a low-end passive crossover of 180Hz/12dB. I already had four different woofers with which I could try with the ESL’s. The woofers are Cabasse 21NDC(8"), Eton 11-581 50Hex(11"), Seas Excel W22EX-001(8" double loaded), and CoDrive(12"). I had to do a lot of positioning and a great deal of time listening to the same music on each of the speakers consecutively because they all sound very good. The choice was difficult. I finally chose the CoDrive because, all other things considered, the bass goes deepest, as in a Bach organ toccata and fugue. For those less concerned with this deep bass, I would recommend the Seas--exquisite detail, fast and accurate. Effortless: Mates very well with the electrostatics speakers." Russ, " I just spent 2 hours listening to exquisite music coming from your Model 2s. They also happen to be your Model-2.1 Piano Black speakers, so they are as beautiful visually as they are sonically. If I could list the virtues of the sound I would have to say the extreme clarity and naturalness of sound. In particular vocals are very lifelike. I read a review on a Martin Logan speaker where the reviewer remarked on the quality of the sound from a CD by Sarah McLachlan. I bought the same CD so that I could compare it at home and also at dealer for the Martin Logan's. Well, I can tell you that the reviewer was correct about the sonic quality of the CD, but I found your Model 2's to produce a superior sound. Of course I wasn't surprised, you had already provided me with the technical frequency response charts which demonstrates a well thought out superior design for an electrostatic. The dipole bass in its present incarnation is good but not as potent as Martin Logan's feed forward design. But considering that you don't have a million dollar research budget, that's not surprising. What you do have are great sounding electrostatic speakers at bargain prices. And I should also mention that you have the additional advantage of flexibility. Anyone who is interested in customizing a speaker to get just the sound that they are looking for can work with you to obtain their dream system. For myself, I can tell you that I am extremely happy with my purchase. Thanks Russ!" Al Martin February 2002 Model-2.1 owner after six months. "Your design in really a nice one. Much better sound then you can buy from major audio stores." Craig, Minnetonka, MN. Model-2 owner. "Speaker panels arrived well packed, work and sound fantastic! "I highly recommend them." Jerry Appleton, WI Model-2 owner. "They look wonderful. I hooked them both up and the sound is fantastic!!! WE ARE SO EXCITED!!! Everybody in my office wants to come over now and hear them. "These speakers do "rock the house". They can be louder than bearable without any noticeable distortion of sound--which is quite amazing." "Just a day or two after getting my electrostatic speakers, I walked into the house after work and wondered who the woman in my home was talking to my wife. Just as I walked into the living room and saw my speakers, I realized I had been fooled. I've never had speakers fool me like this before. Their sound is exceptional." "Your design in really a nice one. Much better that most that you can buy from a major store (audio king, etc.)" 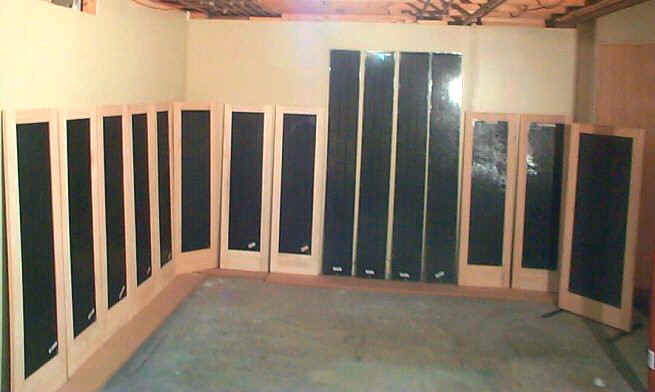 "Speaker panels arrived well packed, work and sound fantastic! I highly recommend them"
"I have never heard music like this before my Model 2 electrostatic speakers are amazing they can play louder then I can bear and are crystal clear"
Tom in Alpena, MI "
I am surprised that they sound so very clear!! and I now understand what is a high speed sound. My wife also likes them too." "So many speakers so little time "